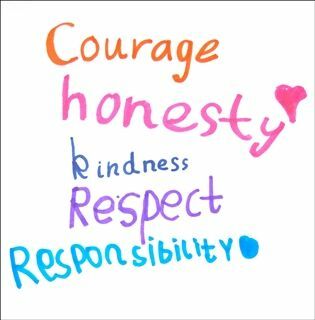 The Brearley Lower School cultivates an environment in which five core values are always present: honesty, kindness, respect, responsibility and courage. Problem-solving skills, the expression of ideas and character development, along with the acquisition and exploration of a language base, are the primary focus of the Lower School. Full of energy, enthusiasm, and curiosity, Brearley’s K–IV students inspire their peers and their teachers to learn and think in interesting and varied ways. The School encourages its youngest students to conduct themselves with integrity and dignity, being mindful that they exist not only as individuals but as members of a community of eager learners. There are many opportunities for responsibility and independence on the Lower School floors and, as the girls grow more autonomous, throughout the School. At first, they may act as messengers and visit other classrooms on the Lower School floors at snack time; later on, as they become more adept at individual decision making, they take on the responsibility of unchaperoned trips to the gym, art studios or cafeteria on more distant floors. While the homeroom is the center of the girls’ academic and social lives, they congregate weekly in assemblies to share songs, plays and recitations and to welcome guest speakers on topics such as the history of jazz, children’s literature and caring for rescued wildlife. The development of character forms a substantial part of the Lower School curriculum. Children who are learning how to express and manage their personality display a broad range of behavior as they explore notions of cooperation, respect and community responsibility. In addition to service projects and the beehive of daily life in every homeroom, studying literature and drama helps girls to think beyond themselves. In all Lower School classes, much conversation about peer conflicts and social dynamics arises from reading and other activities. With teachers as guides, Lower School students establish the social and academic skills that will support their learning and growth throughout a lifetime of education.